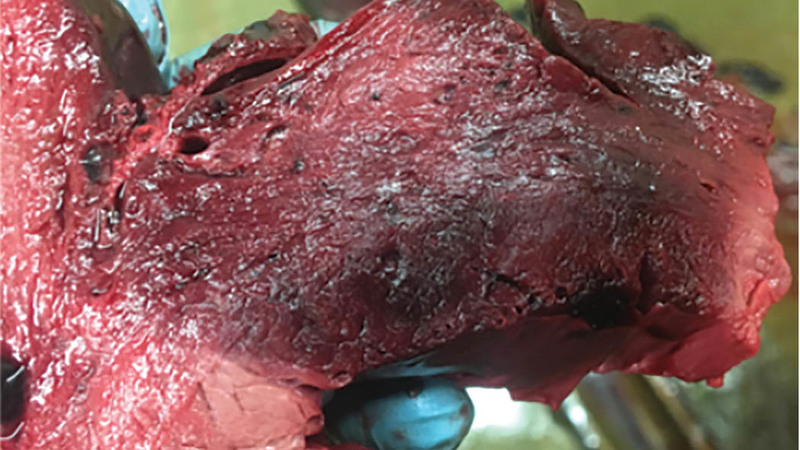 During a run of post-mortem examinations conducted by Farm Post Mortems on growing cattle between June and August of this year, the clostridial disease Blackleg was discovered to be the second most common diagnosis. Blackleg is usually caused by the bacteria Clostridium chauvoei, which can be found in soil and cattle faeces. Infection commonly affects growing animals, typically between the ages of six and 12 months, with an increase in cases seen when animals are turned out. AHDB Beef and Lamb senior scientist Liz Genever says outbreaks may occur especially where earthworks are being undertaken on farm due to exposed bacteria in soil. Ms Genever says: “The bacteria form spores, which after being eaten by cattle can be absorbed into the blood stream and then lie dormant in the muscle. “Damage from trauma, such as injuries at the feed barrier or bruising during bulling behaviour, provide the right conditions within the muscle for the spores to ‘wake up’. “The bacteria then proliferate and damage the muscle tissue. Cases of blackleg with no history of trauma can also be seen and may be associated with exposure to a particularly heavy load of bacteria. “Affected animals are usually found dead, but early symptoms can include a high temperature, depression and a lack of interest in food. “Where the muscle of one leg is affected, sudden onset lameness may be seen. Affected muscles are filled with gas bubbles and can feel swollen and crackly under the skin. “An initial diagnosis can be made on history, clinical signs and post mortem findings, but laboratory tests are required to confirm the diagnosis." Prevention by vaccination is the recommended approach, as treatment with antibiotics is unlikely to be effective unless started in the very early stages. Vaccinations should be given to animals from three months of age onwards and cattle will require two injections spaced three to four weeks apart. Immunisation needs to be completed two to three weeks before the period of risk, this will vary depending on the date of turnout. A yearly booster of a single injection should be given two to three weeks before the period of risk. The interval for booster injections should be no more than 12 months. If cows are vaccinated a month or so before calving, then significant protection for calves will pass through colostrum. Blackleg can also affect sheep and vaccines are also licensed for their use. Talk to your vet for advice for your farm.